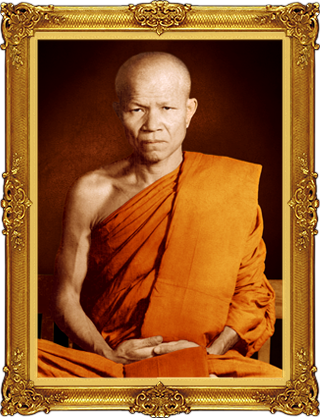 Luang Tat Bua was born on 12 August 1913 (BE 2456), Udon Thani province. He ordained as a monk at the age of 21 and was a student of Achan Mun Bhuridatto. One of the most renowned Buddhist meditation masters in Thailand’s Buddhism of the Forest Tradition. Luang Tat Bua is the founder of National Help Fund Foundation. For many fund-raising event and helping to salvage Thailand’s economy crisis in 1997 (BE 2540). He passed away on 30 Jan 2011 (BE 2554) at the age of 97. More than 330 million bahts and 78kg of gold was donate on the funeral. A million people attended the cremation ceremony.